Travis first started working with GEL as a BoatWorks program coach out of J World Sailing School in Alameda. 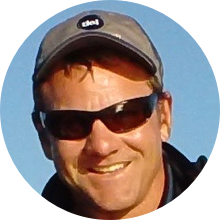 Travis has become one of our go-to resources and schdule permitting, can fly in to coach sailboat-based leadership development programs anywhere in the US. In his day job as the Director of the non-profit Treasure Island Sailing Center, Travis leads a team providing enviornmental programming and sailing instruction to children and adults from all over the Bay Area.